Fabrizio Bensch/ReutersGerman Chancellor Angela Merkel gives her speech at the annual meeting of the Confederation of German Employers’ Association (BDA) in Berlin, November 4, 2014. 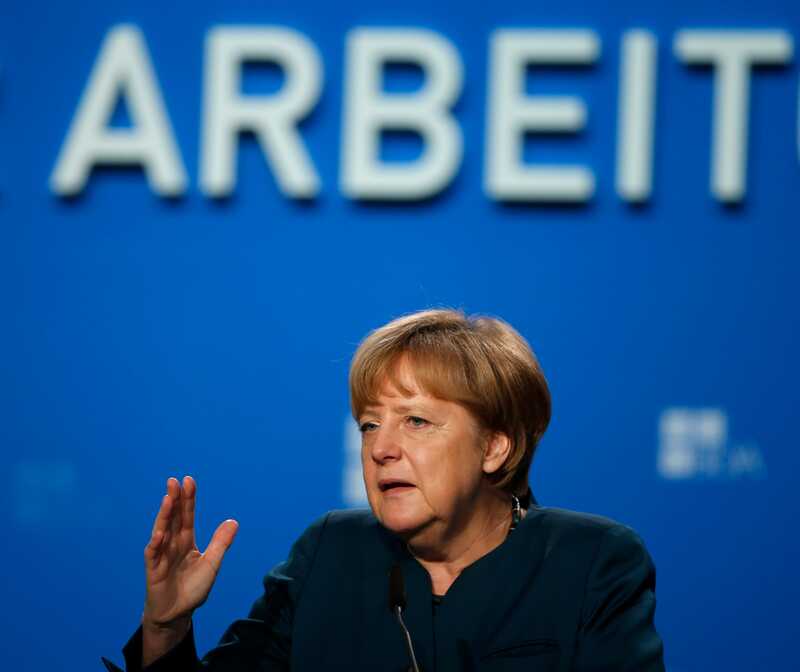 German Chancellor Angela Merkel said on Tuesday the euro zone was extremely fragile and made clear Europe’s biggest economy would not borrow more to invest, resisting pressure from some of its partners to do more to boost growth. Much economic progress had been made in the euro zone since the height of the bloc’s debt crisis, Merkel said, noting;Ireland, Portugal, Spain and Greece had completed or were close to exiting their bailout programs. “But still the situation in the euro zone remains extremely fragile,” Merkel told the BDA employers association, adding structural reforms needed to be implemented in some countries. The European Commission said earlier the euro zone would need another year to reach even a modest level of economic growth, revising down its forecasts and predicting more low inflation and high unemployment. Export-oriented Germany has slashed its growth forecast for this year and next to 1.2 per cent and 1.3 per cent respectively, blaming modest global growth and international crises. Its previous forecasts were 2 per cent and 1.8 per cent. It has also been hit by weakness in some of its European partners, especially France and Italy. 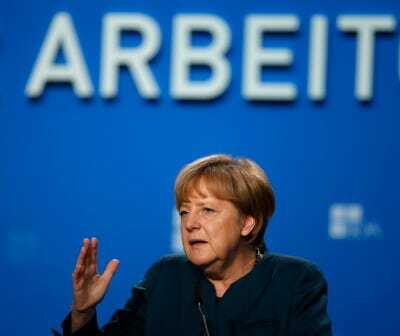 Merkel said the domestic economy was stable but international hotspots, such as the Ukraine crisis which has brought sanctions against Russia that have hurt some German firms, had caused an uncertain business climate. “The economic risks may have risen for the German economy because of the geopolitical situation but at the same time we can say we still have a stable situation,” she said. Merkel said it was important to maintain credibility in Europe’s deficit rules, or the Stability and Growth pact. “We want to stick to the Stability and Growth Pact. This is also about growth and that is why we must reject a debate about austerity against growth. This is mistaken and takes us no further,” she said, arguing both were needed. Germany is bent on achieving a balanced budget next year and while Merkel and Finance Minister Wolfgang Schaeuble have said they will increase investment in Germany, it will not be at the expense of that goal. “Investment is needed but not with new borrowing,” Merkel said. She said in addition to state spending, the government was looking at how to attract greater private investment and that pension contributions would be reduced. Merkel also said European Central Bank President Mario Draghi was right to say monetary policy cannot make up for political failings. Last month Draghi said governments must play a role in boosting the faltering euro zone economy, leading to reports that ties between Draghi and Germany had become strained.